The trucking industry could benefit from driverless trucks. Truck drivers traveling through Elk Grove and other northern California cities are prone to accidents because they are overworked, stressed, fatigued, and often times under the influence. A driverless truck could remove the human element of carelessness. Suzuki has recently begun installing an automatic manual transmission (AMT) in some of its cars, in which the hydraulic system and electronic system communicate to determine when to switch gears. While drivers can select a manual shift mode, the default is automated shift. 18 wheelers are commonly stick shift. An AMT could reduce accidents caused by driver error and mechanical failure of the clutch. A new technology currently being tested by the National Highway Traffic Safety Administration (NHTSA) is vehicle to vehicle communication (V2V). V2V is designed to reduce the number of accidents on the road. Cars equipped with V2V are able to communicate with other vehicles on the road. Vehicles will be better able to detect stopped traffic up ahead, cars in blind spots, trucks stopped on the side of the road, and quickly approaching vehicles. Using V2V technology, trucks can better see smaller vehicles in the blind spot range, as well as accurately predict when a truck driver will need to stop in advance due to congestion, an accident, debris, etc. Automakers are currently working on implementing special software, to be installed in vehicles, that monitors driving and provides warnings when a driver is careless. The pre-collision assist system can detect cars in the blind spot zone, warn the driver when he speeds, and alert the driver if he is tailgating another car. When the driver is being careless, an alert is sounded with instructions on how to fix the issue. If the driver ignores the alert or does not hear it, the pre-collision assist system will automatically slow down the car. The system works by connecting sensors on the outside of the car with the computer system. 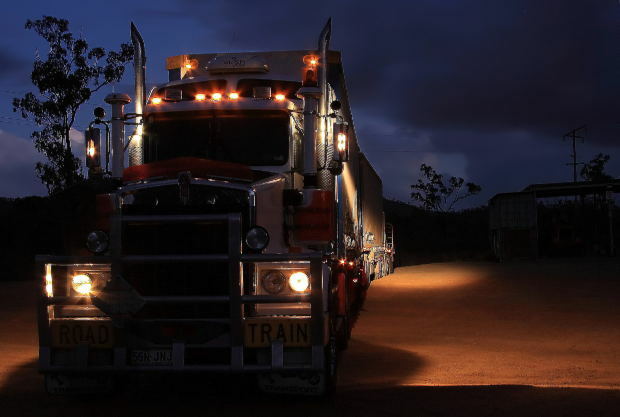 Truck drivers are often times awake for several hours or even days while driving and would benefit from an alert system designed to keep them awake and driving cautiously. I’m Ed Smith, an Elk Grove Truck Accident Lawyer, with the primary accident information site on the web, AutoAccident.com. We handle many Elk Grove Truck Accidents.